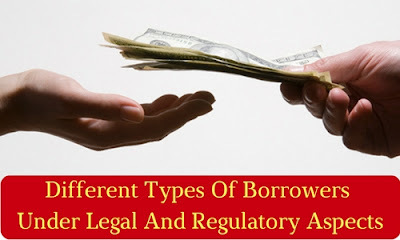 The main function of bank is to lend money or loan to the borrower who has need of it for specific requirements so the banker needs to know the details of various laws regarding the different Types Of Borrower. If the banker lent money to an individual who is not competent to contract then the lended money cannot be recovered under following cases. If Individual is Minor who has not attained the age of 18 years under Indian Majority Act and 20 years if he is a ward under the Guardian and ward's Act. If an individual is not of sound mind then he is incompetent to enter into contract. If statutory disqualification imposed on certain person in respect of their to contract. Under Indian Partnership Act 1932 which provides for partnership so it is necessary that a banker dealing with a partnership firm should verify whether firm registered or not. 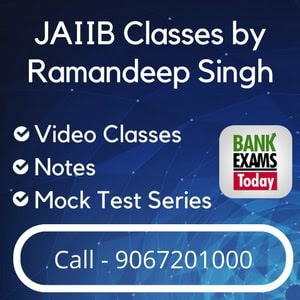 A banker taking a mortgage security of firms immovable property should ensure that the partner who is creating a mortgage is expressly authorized and if not then banker should ensure all partner jointly create the mortgage. If at the time of insolvency of one of the partner the firm's account is in credit then the other partner can operate the same but the banker should obtain a fresh mandate and all previous cheque issued by the insolvent partner may be paid provided the partner confirm the same. As the death of partner dissolves the Partnership firm upon receipt of such information bank's are required to stop the transaction of firm in a running credit facility like Cash credit,bank allow the transaction in a separate account so that the business of firm is not adversely affected. A banker dealing with Hindu Undivided Family should known the 'karta' who is the senior most member of family. Banker should ensure that'karta'of family deal's with the bank and borrows only for the benefit of family business. The application to open an account must be signed by all members and all adult members should be made jointly. Under section 12 of companies act 1956 provides that any seven or more person or where a company formed is a private company by subscribing to the Memorandum Of Association. Requirements of forming company Rules and regulations governing by two documents called 'Memorandum Of Association' and 'Article Of Association'. Companies are Registered under companies Act 1956 , There may be corporation established by an Act of Parliament.These are called Statutory Corporations.For example state Bank of India is established under state Bank Act 1955. Club, societies, schools and other non trading association such bodies if not incorporated under the laws governing them cannot enter into any transactions. These bodies are usually governed by companies Act or Co-operative societies Act. Trust are governed by Indian Trust Act 1882. A banker dealing with trust should acquaint himself with the respective laws applicable to them. Trustee manages trust, the powers and duties of trustee are provided in trust deed and are also regulated by the respective laws applicable to such trust's.Banker dealing with a trust should ensure that all the permission required for taking a loan is obtained from respective Government authorities.